For some reason, I didn't realize I'd never submitted my review for the bed. It took a long time to get there, but the results are more than worth it. Even years later, I often stop and just look at the bed. It is stunning. 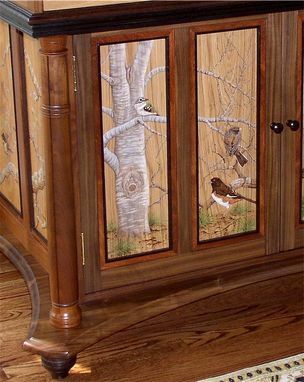 This awesome cabinet was designed and made to house original John James Audubon prints and rare books. The primary materials are walnut and pecan with accents of cocobolo, wenge, and mesquite. 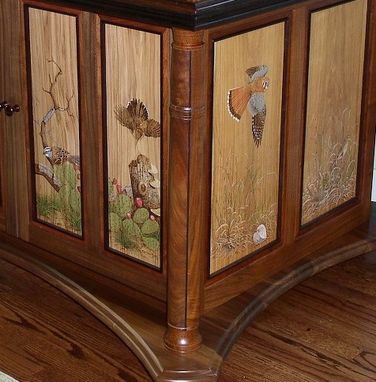 The lovely artwork on the panels and drawer fronts is wood burning done by Texas wildlife artist, Kathleen Marie Wilson. This is a museum quality piece of furniture. Every maker has a story. 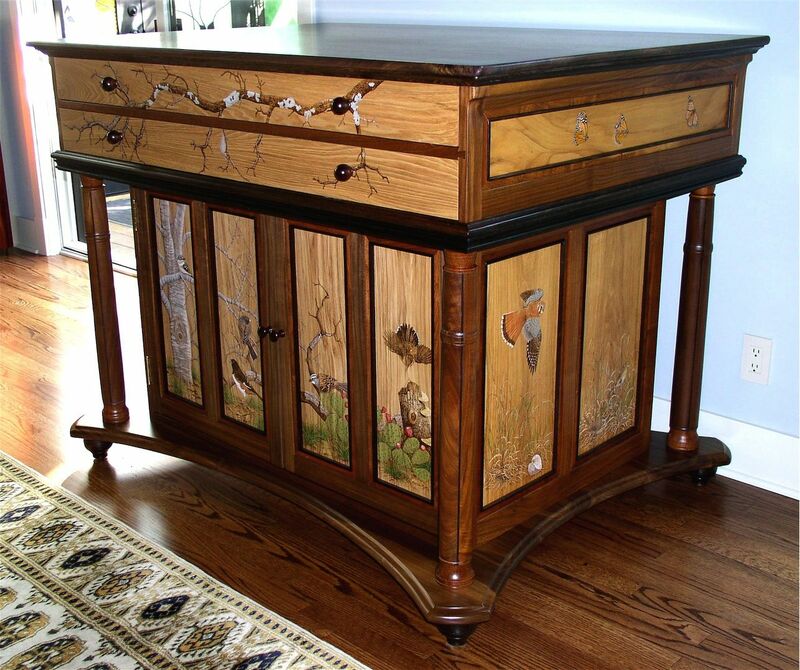 Be a part of Louis Fry Craftsman In Wood's story by placing an order, leaving a review, and seeing your review appear here.